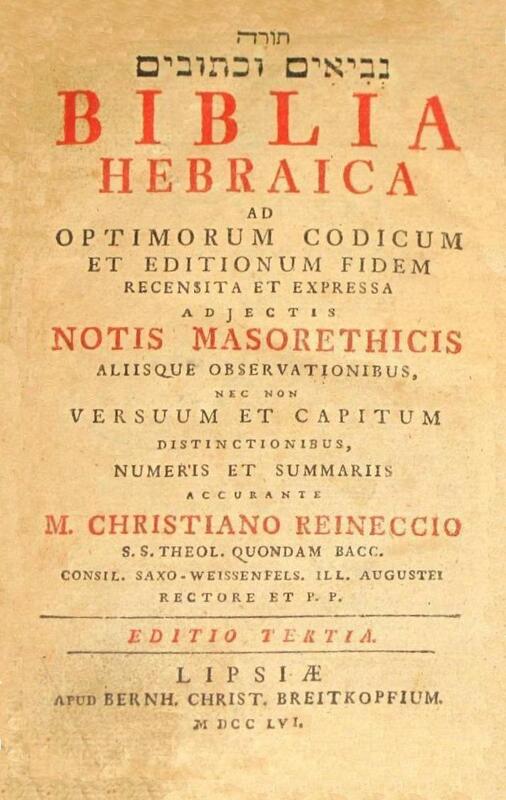 Title | Biblia | Hebraica | ad Optimorum Codicum | et Editionem Fidem | Recensita et Expressa | adjectis | Notis Masorethicis | aliisque Observationibus, | nec non | Versuum et Capitum Distin- | ctionibus, Numeris et | Sumariis| Accurante | M. Christiano Reineccio | S. S. Theol. Bacc. | Consiliario Saxo-Weissenfels. | Illustr. Augustei Rectore | et Prof. Publico. | Lipsiae, MDCCXXV. | |apud Bernhard. 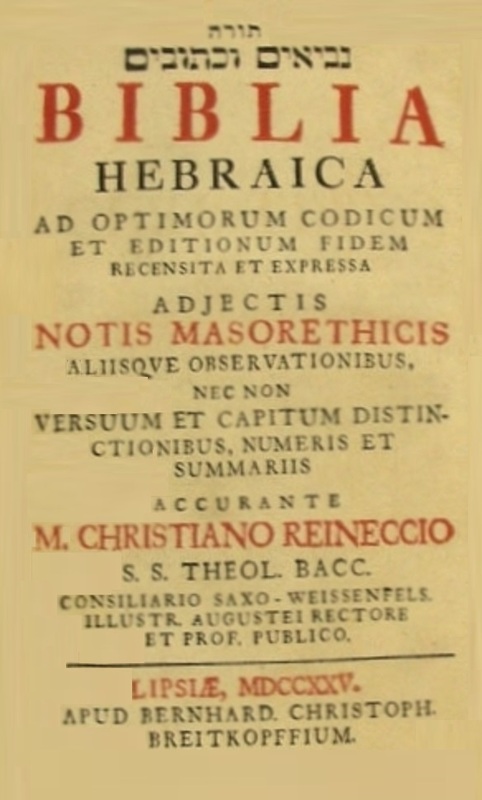 Christoph.| Breitkopfium. 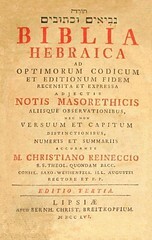 Title | Biblia | Hebraica | ad |Optimorum Codicum | et Editionem Fidem | Recensita et Expressa | adjectis | Notis Masorethicis | aliisque Observationibus | nec non | Versuum et Capitum | Distinctionibus |Numeris et Sumariis| Accurante | M. Christiano Reineccio | S. S. Theol. quondam Bacc. | Consil. Saxo-Weissenfels. Ill. Augusti | Rectore et P. P. | Editio Tertia | Lipsiae |apud Bernh. Christ. Breitkopfium | M DCC LVI.